Horoscope of Divya Bharti - Importance of various levels of dashas. So, a celebrity horoscope today on a request. 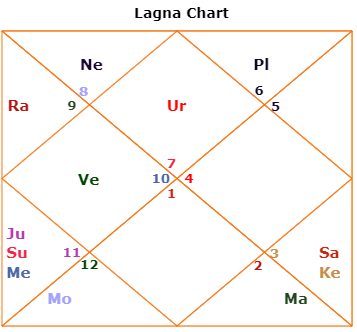 It is Divya Bharti's chart (https://en.wikipedia.org/wiki/Divya_Bharti) and we will only focus on what lead to her tragic death at the age of 19 years. Birth Details and Chart - As per information available online, Divya Bharti was born on 25th Feb, 1974, 11 PM, Mumbai. As we can see that she was Libra Ascendant person. Rahu in 3rd house/Sagittarius, Venus in 4th house/Capricorn, Sun-Jupiter-Mercury in 5th house/Aquarius, Moon in 6th house/Pisces, Mars in 8th house/Taurus and Saturn-Ketu in 9th house/Gemini. For Libra ascendant people, 1st house and 8th house lord is same planet, i.e. Venus. So, it connects their life with sudden events, instability and changes. Also, a Libra ascendant chart is upside down. 1st house of natural Aries sign has Libra sign, 7th house of Libra sign has Aries and likewise, whole chart is in reverse order. It shows that although it is a sign of balance but they live an imbalanced life and it is their duty to make it a balanced one. Venus ruling 1st house or sitting in 1st house can make someone very beautiful. Then in her chart, Mars becomes maraka planet as it is 2nd house and 7th house lord. Mars also sits in 8th house of death and re-birth. Mars in 8th house or Mars aspecting 7th house or 8th house from 12th house or 1st house respectively can be termed as strong mangalik as Mars and 8th house both represent accidents. Also, Mars rules her 7th house and sits in 8th house of secrecy. If I remember well then news of her marriage came into light only after her death. Till then, it was a secret marriage. Early Success - She happened to get very early success in her Career. It is because she started Venus MD in 1989. 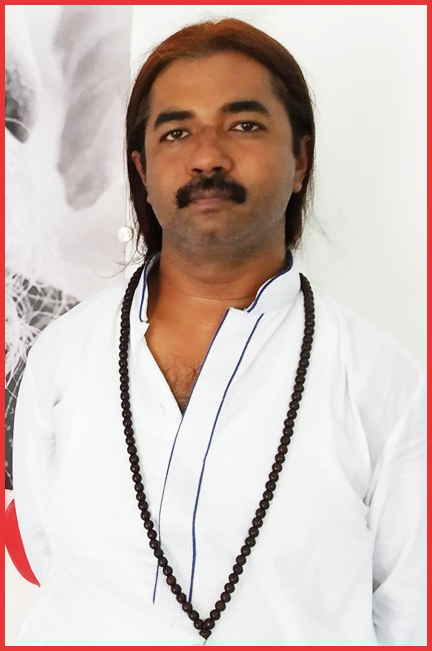 As Venus is her ascendant lord and any time ascendant is active as per dasha, person's life sees a definite rise. And she saw a rise as soon as Venus dasha started and in Venus related Career only, i.e. Movies and Acting. Her 1st major hit was released in 1990 which was a Telugu Movie. As it was released in 1990, I would understand that role was offered in 1989 only as she started Venus MD. Then during Venus-Venus dasha till 1992, she was already a superstar in Hindi and Telugu Movies and seen as next mega star for Indian Cinema. Venus rules 1st house and 8th house. So, Venus dasha activates possibility of her meeting an accident at any time. Mars sitting in Venus ruled sign Taurus in 8th house also got activated. As I said, Mars in 8th house also creates possibility of accidents. Then Mars was in Krittika Nakshatra ruled by Sun. So, when Sun AD started, it activated Mars at both levels because of dasha of sign lord and nakshatra lord. But even then the timeline was from July, 1992 to July, 1993. Why she had accident on 5th April, 1993? Minute Dashas - And this is what I wanted to cover with this chart. The importance of various levels of dashas. Normally, we look at MD/AD and do our predictions but dashas are at 6 levels and it is equally important to look at other level of dashas to make it precise as to why a certain event happened on that day only? Between 1st week of March to last week of April, 1993, she was under Venus-Sun-Mercury dasha. Now, Mars is in 8th house and 8th house lord Venus is active as per dasha. Mars is in Krittika Nakshatra and its lord Sun is also active as per dasha. Let's go deeper. Mars is at 5.33 degree and this degrees' sub-lord is Mercury and she was under Mercury PD between 1st week of March to last week of April, 1993. Even then it is about 2 months period. Question remains as to why event happened on 5th April, 1993 only? Let's go further deep. Between 2nd April, 1993 to 6th April, 1993 she was in Venus-Sun-Mercury-Mars dasha. Does it scare you? Venus rules 8th house, Sun rules nakshatra in 8th house, Mercury rules the degree portion where Mars is placed in 8th house and Mars is in 8th house itself. All this is important because Mars is her Maraka Planet. So, it shows that for those 4 days her 8th house was completely active at 4 levels of dasha. www.astrosage.com doesn't provide further dashas else we can further analyse it. Transits of the day - So, stage was set for some tragic incident between those 4 days. Now, let's see the transits of 5th April, 1993. 1st of all, MD planet Venus was in Pisces. Exalted but retrograde, combust and in Paap Kartari Yoga between Sun and Saturn, reducing its strength as exalted planet. Sun was in Revati Nakshatra right over her birth Moon in Revati Nakshatra, the nakshatra of final liberation. But as I see, biggest factor in transit was Ketu transiting over her birth chart Mars in 8th house/Taurus and Mars transiting over her birth chart Saturn-Ketu in 9th house/Gemini. I think this is what turned an accident into fatal one as Mars-Ketu combination can bring accidents, surgeries and bloodshed. Conclusion - Finally, there remained a cloud over her death and there were many theories in news market from accident to murder although official records closed the file as an accidental death. I think this suspense will remain for the same reason that 8th house was completely active as per dashas and as it is house of secrecy, secrecy should remain. None is supposed to know. Not even an Astrologer. Dear Divya Bharti, may your soul rest in peace _/\_. Thanks for the request because while going through this analysis I realized how important is this chart and analysis of this event.